New gardening product – Is it Good or Bad for the environment? I’m always on the lookout for new products that help make eco-friendly gardening a little easier. So when I read the teaser about the Pure Rain watering tools on a website called pollutiononline.com, I had to take a look. The teaser read : Pure Rain oxygen-infusing garden products provide chemical-free way to increase plant growth by up to 30 percent. So how does a watering nozzle help prevent water pollution? According to the article, when attached to a hose, the Pure Rain products infuse more oxygen into the water supply, which is crucial for the plants growth and vitality. “Ultimately, plants grew up to 30 percent larger without the use of potentially harmful chemicals or other soil amendments that often end up back in the water supply. 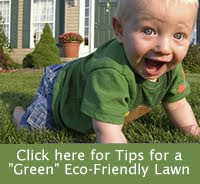 Of course, eliminating harmful chemicals and soil amendments is a great thing, when it comes to preventing pollution. But in our landscape, we primarily use water from rain barrels and drip irrigation to water our plants, so it would SEEM like a waste of water to use spray nozzles, unless they don’t require a lot of pressure and can be used on a garden hose attached to a rain barrel. We do sometimes use oscillating sprinklers on our lawn, but do we really want our lawn to grow faster? What do you think? Has anyone out there ever used these products or do you know enough about the value of oxygenized water to have an opinion on these products?